WASHINGTON, Oct 3 2014 (IPS) – Heads of state, civil society groups and the leaders of some of the world’s largest companies this week urged their peers to sign on to a landmark new global agreement aimed at halting deforestation by 2030, even as others are warning the accord is too lax. The declaration offered one of the most concrete outcomes of the U.N. summit, and underscored new global interest in the climate-related potential of conserving the world’s forest cover. The agreement’s text estimates that achieving the goals set out in the accord could reduce greenhouse gas emissions by up to 8.8 billion tonnes per year by 2030. Yet since the agreement’s unveiling, some groups have voiced stark concerns, particularly around the declaration’s extended timeline and weak enforcement mechanisms. Indeed, the agreement is legally binding on neither states nor companies. “The 2030 timeline would allow deforestation to continue for a decade and a half. By then the declaration could be self-fulfilling, as there might not be much forest left to save,” Susanne Breitkopf, a senior political advisor with Greenpeace, told IPS. On Wednesday, a Nigerian development group similarly called into question the declaration’s timeframe. “The declaration seems to make those who have the capacities for massive destruction of community forests to think that they have up to 2020 to continue destruction unchecked, and unencumbered. This is dangerous,” the Rainforest Resource and Development Centre said in a statement. Instead, the centre says the New York Agreement should have put in place “definite sanctions” starting this year. The declaration was initially endorsed by 32 national governments, though Brazil remains a notable holdout. In addition to halting deforestation, the agreement aims to restore some 350 million hectares of degraded lands by 2030. The accord was also formally backed by 40 multinational companies and financial firms, and seeks to “help meet” private-sector goals of halting deforestation linked to commodities by the end of the decade. 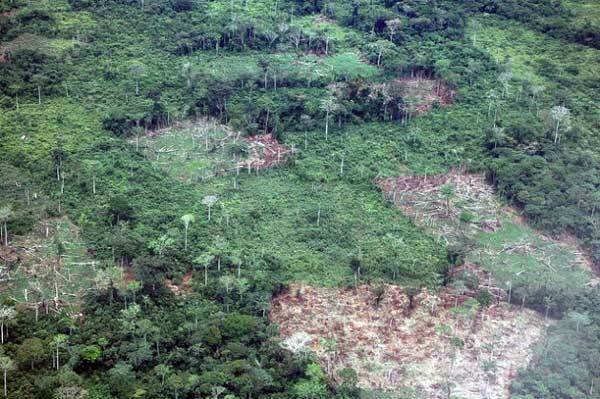 Separately, the Consumer Goods Forum (CGF), consisting of 400 large companies with global sales of three trillion dollars, has pledged to remove deforestation from its supply chains by 2020. “A powerful alliance of business, governments and civil society has come together to sign the New York Declaration to stop the destruction of natural forests and to restore those that have been degraded,” Helen Clark, the administrator of the United Nations Development Programme, said in a video posted Tuesday. Clark was joined in this call by the leaders of Norway and Liberia, as well the CEOs of the consumer goods giant Unilever, the palm oil supplier Golden Agri Resources and others. Major civil society voices, including the World Wildlife Foundation (WWF) and World Resources Institute (WRI), both U.S.-based organizations, likewise supported the declaration. WRI, a prominent think tank, has called the declaration “the clearest statement to date by world leaders that forests can be a major force in tackling the climate challenge.” Further, the institute estimates that a restoration of just 150 million hectares of degraded lands could help to feed an additional 200 million people by 2030. According to U.N. statistics, some 13 million hectares of forest are disappearing, on average, each year. While the importance of those forests is currently receiving new interest in terms of slowing global climate change, forest destruction also has major impact on the economies and survival of local communities. In many places, illegal forest clearing is closely related to poor governance and corruption. Yet the fact remains that much of today’s deforestation is fueled by large-scale agricultural production to supply commodities to other countries. According to findings published last month by Forest Trends, a watchdog group here, at least half of global deforestation is taking place illegally and in support of commercial agriculture – particularly to supply overseas markets. Overall, some 40 percent of all globally traded palm oil and 14 percent of all beef likely comes from illegally cleared lands, Forest Trends estimates. As part of the New York Declaration, five European countries pledged to develop new procurement policies aimed at cutting down on the consumption of products linked to deforestation. In addition, the declaration was backed by a second agreement between three of the world’s largest palm oil companies to help protect forests in Indonesia, a major producer. “We find it very encouraging that the biggest players in the palm oil industry globally are finally acknowledging their responsibility for the tremendous destruction palm oil expansion has and is causing,” Laurel Sutherlin, a communications strategist at the Rainforest Action Network, an advocacy group that is not planning to endorse the New York Declaration, told IPS. Greenpeace, too, has publicly declined to back the New York Declaration. The group’s Breitkopf points out that the agreement is weaker than certain existing deforestation accords, and thus could even dampen forward momentum.